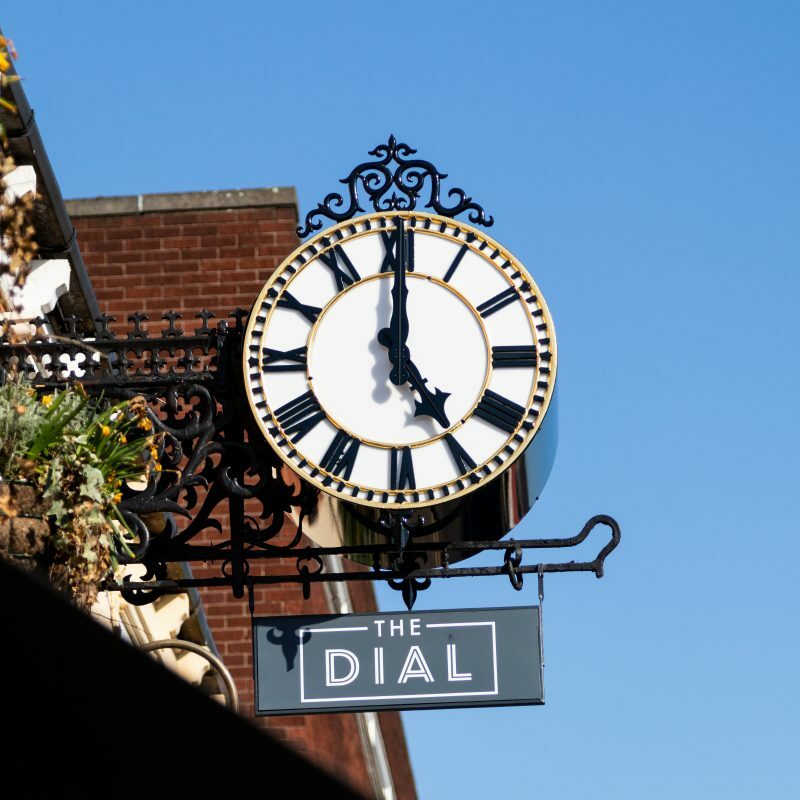 Crème Brûlée is without doubt one of the greatest, well known and popular french classic desserts; it is also one of our favourites to go on the menu. Made correctly it should have a crispy golden caramel topping with a velvety smooth vanilla custard underneath, heaven in a ramekin. The literal meaning of Crème Brûlée is Burnt Cream, it is not advisable to burn the cream nor the caramel as the name suggests, a lot of people over glaze the topping and use its name as an excuse to serve the dish, for me if the caramel is too dark or burnt then it spoils the dish with a bitter burnt taste that no one could enjoy, you are looking for a nice golden/slightly dark caramel to give a good balance of bitter/sweet and a good crunch. When you first attack the Brûlée with a spoon it should make a good cracking sound as the spoon breaks the caramel. Another point of discussion amongst chefs is what kind of sugar do you glaze the top with, icing, caster or demerara? Well for me it is simple, Caster Sugar is my sugar of choice, the reasoning behind this is that icing sugar burns in an instant and therefore you have very little control when glazing your brûlée; demerara is to chunky in texture so by time you have melted some of the sugar other parts of it are burnt, i find that caster sugar is the easiest to get a consistently good golden brown layer. This of course is purely personal preference and you should play around with different sugars to see what works for you. 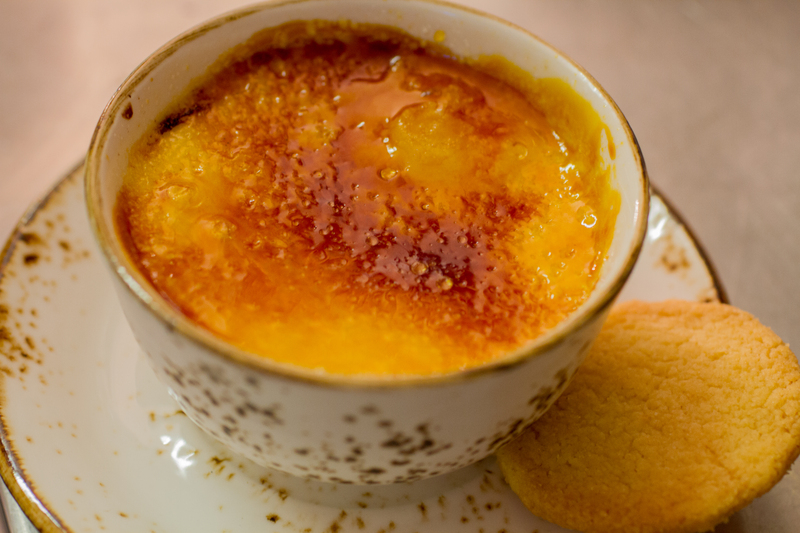 In this recipe I make a classic Vanilla flavoured Crème Brûlée but you can play around with flavour combinations, be careful not to add to much liquid flavouring because this will alter the amount of eggs needed for the Brûlée to set. I will add some variation ideas at the end of the recipe. I like my recipe very rich, therefore it is made with only double cream, you will find a lot of other recipes use a 50/50 ratio of milk and cream and others use a 70/30 cream to milk ratio, i like to indulge and use 100% double cream, the choice of course is yours. Only use fresh vanilla pods in your brûlée it deserves nothing less, expensive but well worth it. I always serve shortbread biscuit with mine as it compliments the dessert very well indeed. Slice the vanilla pod in half and scrape the seeds out of the middle, place the seeds into a mixing bowl and the empty pod into a sauce pan. Place the double cream into the saucepan with the vanilla pod and place on the stove, slowly bring up to almost boiling point. Meanwhile separate the eggs, keep the whites to make meringue, in the mixing bowl with vanilla seeds add the egg yolks and the caster sugar, whisk together until combined. Once the cream has reached temperature carefully pour into the mixing bowl with the egg mixture whisking continually until all the cream is incorporated. Now pass this mix through a fine sieve into a jug. Place 4 ramekins into a deep roasting tray, then fill the tray with hot water so that it reaches up to at least half way up the ramekins. Now carefully pour in the brûlée mix to the top of the ramekins, place into the pre heated oven and bake for 40-45 minutes, check after 35 minutes then check every 5 minutes or so thereafter as they will overcook quickly. The custards are cooked when almost fully set with the middle having a little wobble. Remove from the oven and leave to cool slightly before removing from the bain marie, then chill until needed. 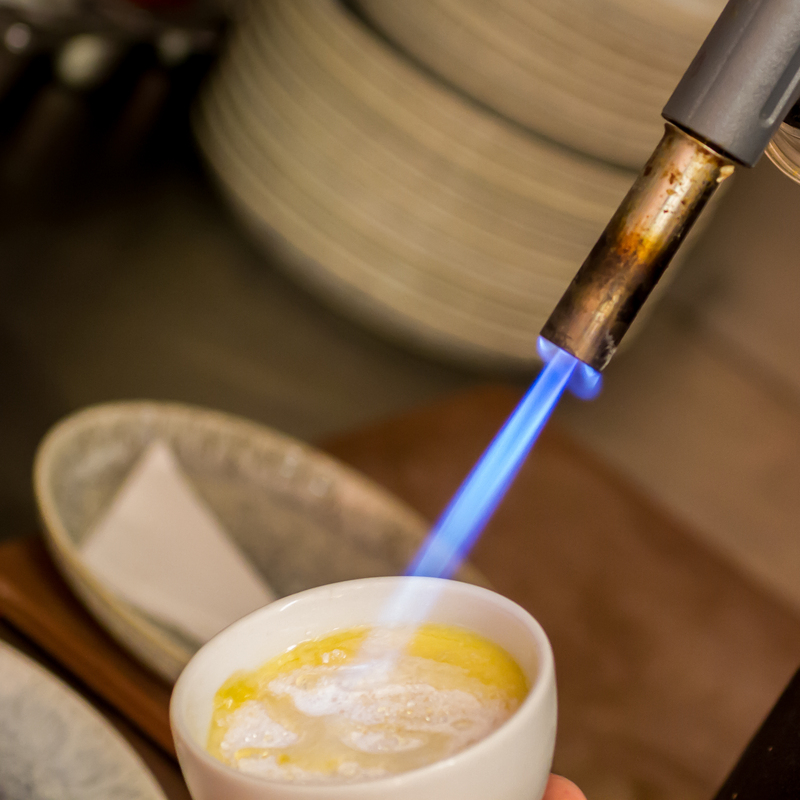 To serve, remove the brûlée from the fridge and sprinkle a even covering of caster sugar over the top, then very carefully glaze with a blow torch. Variations omit vanilla and replace with one of the following, Lemon Zest, Orange Zest, Cointreau, Amaretto. Variations keeping the vanilla, drop some fruit into the ramekins before adding the liquid, Raspberries, Strawberries, Blueberries, Blackberries all work well.